Pitcher, a leading sales enablement and digital content management software provider, announced its brand new module, Pitcher Indoors, at Dreamforce 2017. Pitcher Indoors is a web-based app for inside sales and other online users that enables sales reps to stay connected with customers and prospects. Built on the Salesforce Platform, users are able to use Pitcher Indoors’ sales enablement features without needing to work outside of Salesforce. Pitcher Indoors also allows your reps to create mini-websites for client interactions on the fly, which clients can revisit as often as they wish. This enables marketers to create a customized experience for sales prospects, enhancing the effectiveness of sales reps, while collecting valuable marketing data at the same time. Pitcher has had an eventful year, receiving several awards, including the Consumer Goods Technology Readers’ Choice 2017 Editors’ Pick and the 2017 Inc. 5000. At the end of 2016, Pitcher was awarded a patent for its Sentiment Analysis Module (SAM), a unique sentiment tracking feature, and the young company has opened new offices in New York and Tokyo. 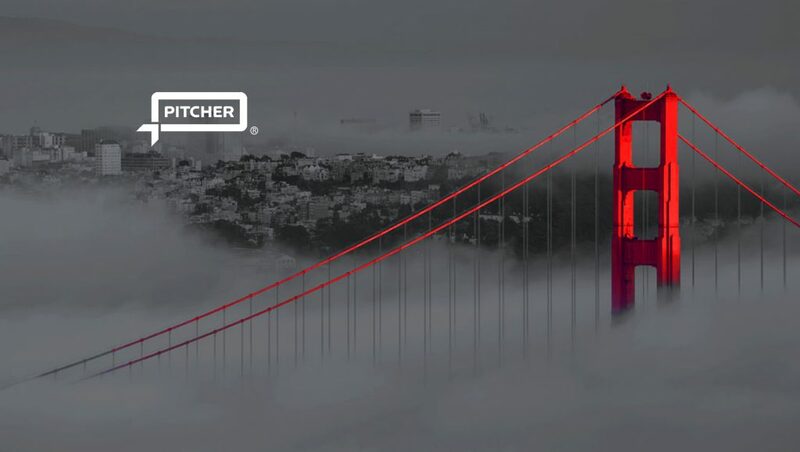 Dreamforce 2017 attendees can stop by the Pitcher booth numbers 1834 or 1836 for a live demo of Pitcher Indoors, as well as any other aspects of the Pitcher Sales Enablement Suite. Salesforce, Dreamforce and others are among the trademarks of salesforce.com, inc.
Pitcher is a leading provider of mobile sales enablement and content management solutions for field sales and marketing teams. With an intuitive and feature-rich platform, Pitcher’s cloud-based software makes it easy for field sales and marketing professionals in industries such as life sciences, consumer packaged goods, financial services and manufacturing to plan for, execute and analyze their customer interactions. With an intuitive and feature-rich platform, Pitcher’s cloud-based software makes it easy for field sales and marketing professionals in industries such as life sciences, consumer packaged goods, financial services and manufacturing to plan for, execute and analyze their customer interactions. The immersive, feature-rich software can be executed across various desktop and mobile devices to better engage customers and field reps throughout the entire sales and marketing lifecycle.